VBS is offered free of charge as a service to the State College community. All children entering pre-K through sixth grade are welcome. Registrations are accepted at the door. STATE COLLEGE, PA — Without seemingly missing a bear from their regular school day routine, the children of the State College area reported today for the first day of the annual Holy Trinity Orthodox Church Vacation Bible School (VBS). This year there is a different twist to the traditional VBS since it is being conducted in the evening (5:15 p.m. check-in and ending at 8 p.m.) Because of the new starting time, the students will be served a delicious a kid-friendly supper so they will be well nourished and ready to learn. 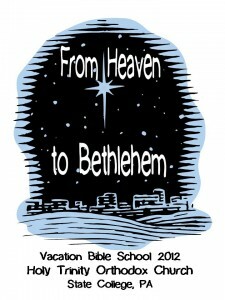 The theme for this year is, “From Heaven to Bethlehem” with the students studying the Nativity season. This theme was selected as it will provide the students some time to really focus on this blessed season without all of the distractions usually found in December (e.g., shopping, parties, commercials tugging at the kids’ hearts and minds). Nativity Fast — In preparation for the Feast of the Nativity, the Church offers us a season, a time, to prepare–the Nativity Fast. Celebration of “winter” Saints — The Nativity season also brings us celebrations of several inspiring saints including Ss. Nicholas, Romanos, Herman, and Barbara. Key persons and places — a study on Mary, Joseph, Elizabeth, the manger (cave), and the lands around Bethlehem. All good things come in due time and today the students focused on the necessity for preparation (and waiting!) for the birth of Christ. The preparation is the Nativity Fast, or Nativity Lent, known to many in the West as Advent. Additionally, the students learned about Mary’s young life, her tome, and the very place where the Archangel Gabriel announced to her that she would become the mother of Jesus — our Savior. 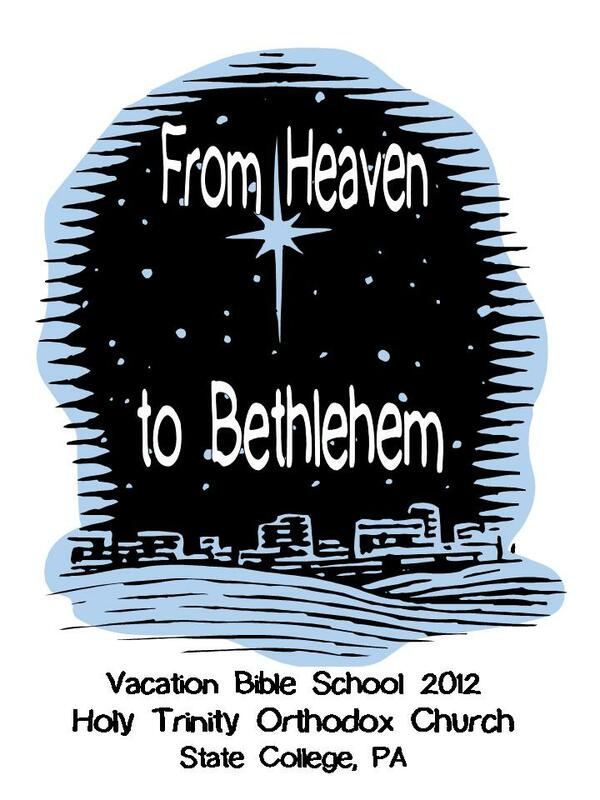 On Wednesday, our VBS will begin at 5 p.m. (check-in) with dinner shortly thereafter. Our students will be attending Vespers on this day. Access the parish directory, view your contribution records, and manage your privacy settings here. Enter your username and password to access the Parish Directory. Youth Pascha Workshop This Saturday! Holy Trinity is conveniently located just three blocks west of campus between College and Beaver Avenues. © 2019 Holy Trinity Orthodox Church. All Rights Reserved.